This is my keychain. Every so often I have to purge it, because it gets too cumbersome. But I only carry a house key, car key and fob, and a mailbox key. 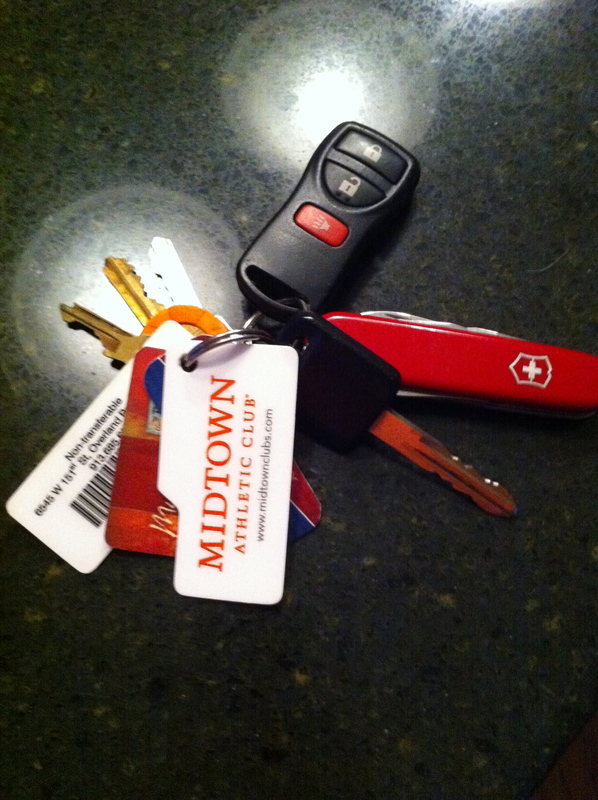 The rest is discount cards and my swiss army knife.